Dean, the owner of “Banada Daddy Productions”, contacted us over a month ago indicating he was having problems with his web designer. He said that the web designer simply was not paying attention to his requests and couldn’t grasp some of the concepts that he had for his website. After he lost out on the money (since he paid them completely up front), he finally said “enough is enough”. After waiting for this designer for over two months to complete the site, they never did. Dean then turned to BsnTech Networks for help. While the website isn’t fully completed since he is awaiting some distribution channels for his album to be completed, we made him a website within a matter of a couple of days – exactly how he requested it. Because of that, he also awarded us with some extra business – the creation of a header graphic for his website along with a modification of his logo. 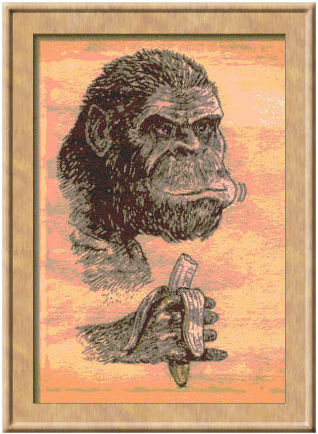 The logo that we modified for him is the gorilla with a banana in his hand, and the header graphic is “The Road Apples” graphic. We appreciate the business from Dean and look forward to fully completing his website.